CORSAIR and Ubisoft are teaming up once again to bring an unprecedented level of immersion to Tom Clancy’s The Division 2. It’s time to take back Washington D.C.
See the power of Tom Clancy's The Division 2 and iCUE in action. 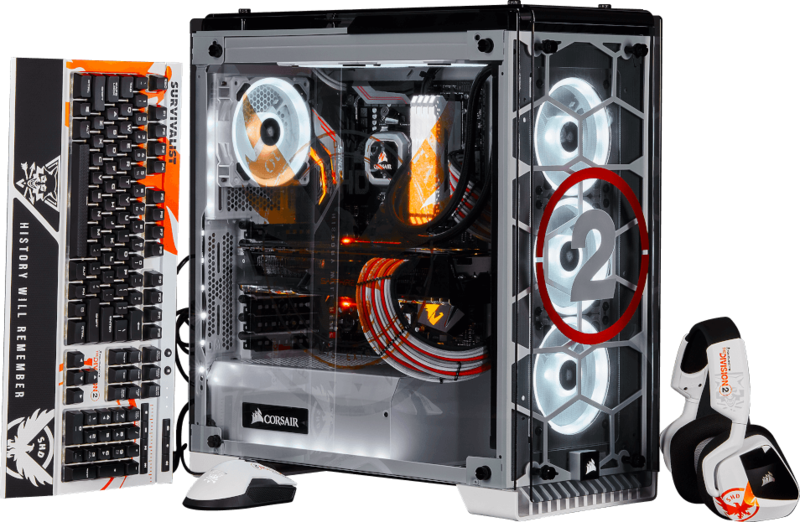 CORSAIR iCUE software’s synchronized lighting capabilities reach new heights when playing Tom Clancy’s The Division 2, taking the action beyond the screen with system and peripheral lighting that dynamically reacts to in-game action and events. *NA and EMEA territories only. Available while supplies last. Agent, you’ve been activated. Choose your loadout, from demolitionist, sharpshooter or survivalist, and get a chance to win one of three custom peripheral sets that reflect your style of play. One grand prize winner will also win this amazing Tom Clancy’s The Division 2 custom PC. Explore a whole new level of game immersion with iCUE and Tom Clancy's The Division 2.